If you're looking for a fundraiser that will make your group stand out from the crowd, consider selling soap. We're not talking laundry or dish soap, but quality body soaps, many of them handmade from all natural products. Soap is a necessity that people use every day, so it's not a tough sell. Why not offer people the option of beautifully scented soaps that also benefit a good cause? To address concerns about those who may be sensitive to scents, many companies also offer unscented soaps that offer all the same benefits to the skin. You can also sell soaps that appeal to a wide audience, from luxurious, classic designs and shapes, to brightly colored, quirky soaps shaped like animals or other fun things. There's definitely something for everyone. The first thing to do is decide what kind of fundraiser you want to have. There are two options. The first one is a brochure fundraiser where you provide potential supporters with catalogs or sell sheets that show the soaps available for sale and allow them to choose which ones they want to buy. Some companies even allow you to print as many sell sheets as you need directly from their websites. This prevents you from ordering too many brochures, and saves paper. And it's convenient. If you run out, you just print more. No waiting for them to be shipped from the company. One thing that can be considered a downside to this method is that people who buy from the catalog will have to wait for their items to be shipped to them. People who prefer instant gratification when shopping may not want to wait. The second option is to buy the soaps in advance, then sell them. If your organization is strapped for cash, this option may present a problem. The good news is, there are a lot of venues where you could easily sell your inventory such as church bazaars, arts & crafts fairs, or door to door. The benefits to having the soaps on hand are that people can actually see and smell them, and they won't have to wait for delivery. Another thing to consider is that you'll need a place to store all the soap until it's sold. Also, if you don't order enough to start with and end up needing more, it could be a hindrance to your sales if you have to wait for another shipment from the company. Both options have their benefits and drawbacks. You just have to decide which works best for your group. The next important decision to make is about cost. How much you charge for the soap is a big factor in how much you'll be able to sell. Some companies have fundraising programs with set profit amounts, while others will work with you to tailor the fundraiser to your group and its fundraising goals. You must consider the community where you plan to sell the soaps. What kinds do you think would sell better? How much would people be willing to pay? Once these decisions are made, figure out how many soaps each participant will need to sell to meet the goals you've set. Having some sort of small prize for the person who sells the most soaps can help motivate your volunteers. It depends on several factors: which kind of soaps you choose, how much they cost, how much you decide to sell them for, how many you actually sell. The potential is there to make a very good profit, especially if you buy the soaps in advance then mark them up. Keep in mind that if you decide to sell the soaps at an event that offers tables or booths, the rental will eat into your profits. The brochure option will probably net you a smaller profit, but then you don't have the concern of keeping track of inventory. Again, it's about whatever works best for your group. Choosing to sell soaps for a fundraiser has both advantages and disadvantages. If you take everything into account beforehand and have a good plan, you can minimize the drawbacks and enhance the positives. Everyone uses soap every day. Well, at least we hope they do! This means you're not trying to sell them something they have absolutely no use for. Even if they have a case of soap at home already, they'll eventually run out and need more, so why not just stock up? The wide variety of shapes, sizes, colors, scents, and ingredients will appeal to men and women of all ages with all kinds of preferences. If you do decide to order them in advance, they're lightweight and portable, so transporting them to your sale locations won't be a problem. Many people are concerned about their health and weight these days, so selling soaps can be an attractive option over selling candy bars or cookie dough. Also, you don't need a special occasion or holiday to sell soap. It's a good option all year long! If you decide that holding an on-hand sale is the way to go for your group and community, it can be expensive up front, depending on which types of soaps you choose to sell, and how many you need to order. You don't want to have to hold a fundraiser to fund your fundraiser, so make sure this option won't put your organization in the red. On the other hand, if you go with a brochure sale, people may be less apt to buy if they have to wait to receive their merchandise, or if they have to pay extra for shipping. Also, some companies may only make one shipment—to you—and you'll have to deliver the products to all your buyers. This can turn into double duty if you've gone door to door. 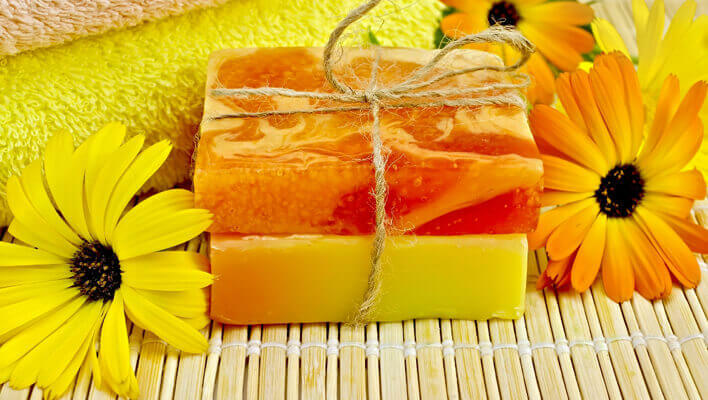 Once you've weighed all the options, and the pros and cons, and have decided what works best for your organization and its members, we think you'll find a soap fundraiser to be a fun and profitable experience.